Can Knee Replacements Be Done in a Day? The Yorkshire Knee ClinicGeneralKnee replacement – done in a day? Knee replacement – done in a day? Can you really have a knee replacement operation and be home the same day? Yorkshire Knee Clinic’s Jon Smith explains why, in the case of partial knee replacements, the answer is often ‘yes’. We’ve referenced the US healthcare system many times in these pages, often in relation to insightful research and studies; occasionally for the consequences that stem from a system that often seems to place money before patient care. Recently, I was struck by an article noting growing confusion over a change in rules for managing total knee replacement (TKR) operations. Medicare has removed TKRs from the inpatient-only list of treatments, meaning that, whilst a TKR can be performed on an inpatient basis, it doesn’t have to be. The unintended consequence of this is that many hospitals are now treating total knee replacements only on an outpatient basis. But is that feasible? In the UK, we have seen some NHS trusts trial total knee replacements on an outpatient, day care basis but the results have been disappointing, with too many patients readmitted the next day following issues experienced when they got home. Whilst I and the knee surgeons of Yorkshire Knee Clinic would not currently support total knee replacement on an outpatient basis, that’s not the case with partial knee replacement. Although we don’t (yet) typically perform partial knee replacement operations as day cases, some hospitals do. One UK trust now sees 75%-80% of its partial replacements performed on outpatients, and there really isn’t any reason why the rest of the country shouldn’t follow suit. The partial knee replacement procedure isn’t as invasive as the total knee. 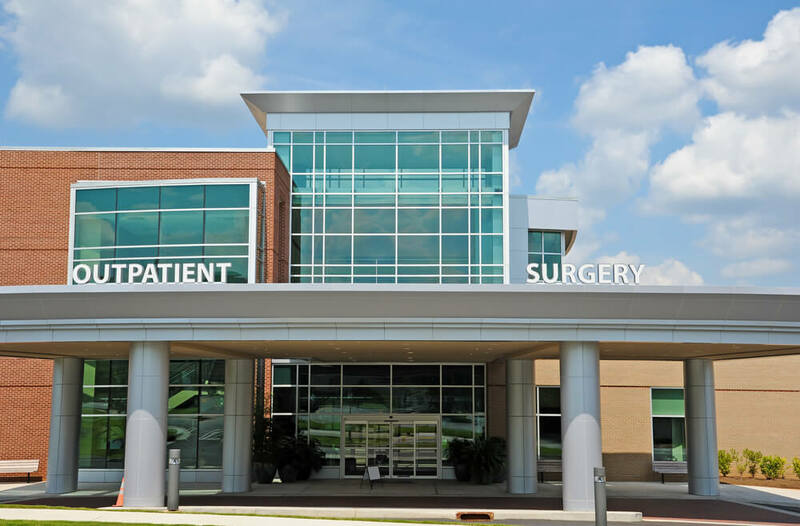 The risks are less and recovery is faster, so it is something of a natural candidate for outpatient surgery. Currently, our private knee replacement patients will typically spend one night in hospital, and that is likely to be longer only if there are other medical issues that require close monitoring. You might, for example, spend an extra night with us if you have low blood pressure, so we can keep an eye on you. I do believe we will see more outpatient partial knee replacements carried out, but there’s always a limit to how far you can go. That limit must always be defined in terms of patient safety so that, no matter how commonplace day case partial knee replacements become, if you need greater care, you receive it. If you would like to explore options for your total or partial knee replacement, please talk to us on 03453 052 579.